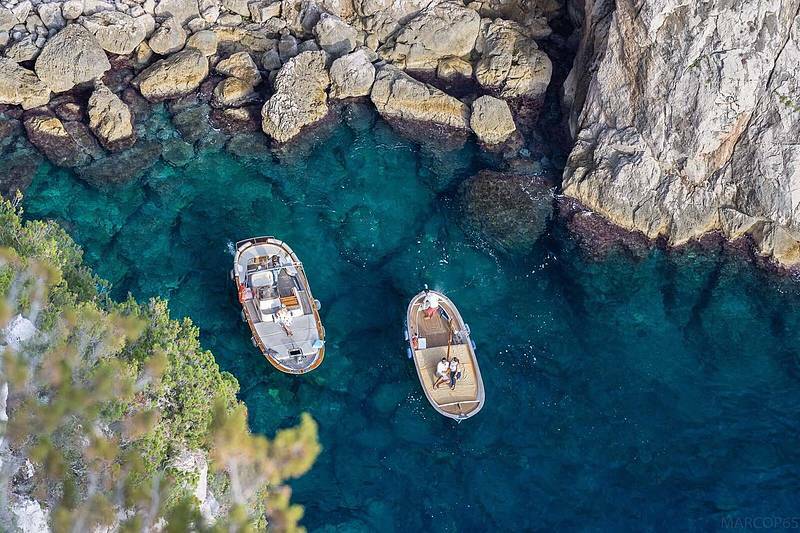 Spend an entire day swimming, sunbathing, and exploring Capri by sea in the company of your friendly local skipper! 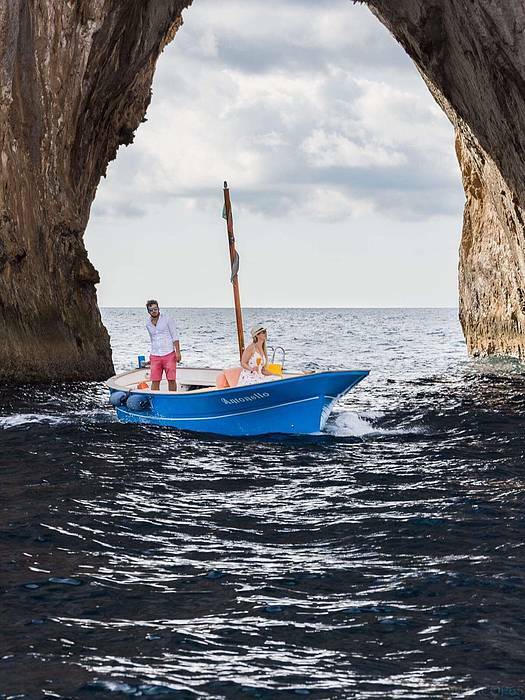 Donìt miss the opportunity to see the island's stunning coastline and visit its hidden corners in this all day tour on board a traditional gozzo boat. The meeting point for this tour is in Marina Grande (port) at dock Molo 20, near Limoncello Bar. This tour can be cancelled with no penalty charged up to 48 hours in advance. For cancellations received after 48 hours in advance, a penalty of 50% will be charged. In case of rain or adverse sea conditions that preclude taking the boat out, the service will be cancelled with no penalty charged. Credit card details are held to guarantee your booking, and your card will not be charged. 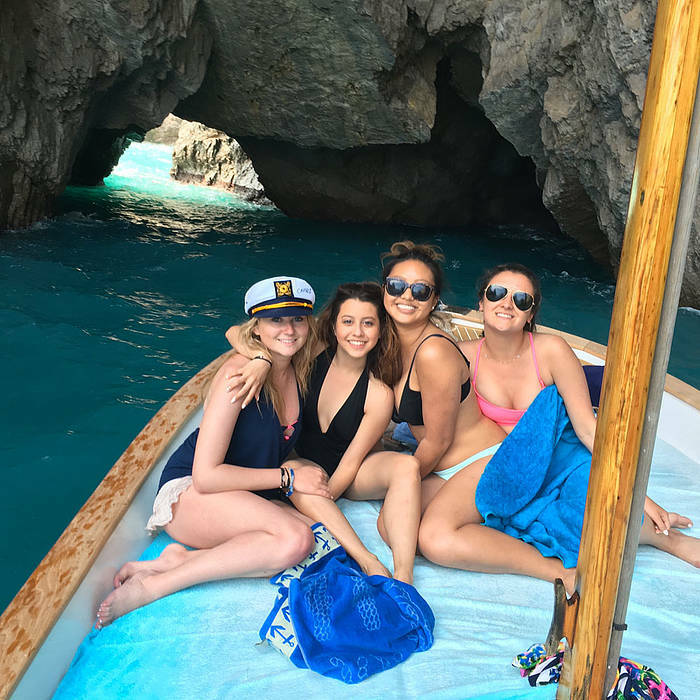 "We book with Capri Island Tour for a three hour boat tour and it was awesome! Daniele was our captain, and it was so much fun getting to swim and learn about the island! Antonello was a great contact!" "I recently came back from Capri, and this tour was the highlight of my vacation Daniele was great! <br /> He made our trip unforgettable. Thank you Daniele for capturing my first time jump from a boat"
"Awesome boat tour and captain!" "Our trip was wonderful. We had Daniele and he went above and beyond for us to allow us to get to swim in a quiet grotto. His knowledge was expansive, and he told us a lot about the island, as well." "amazing experience! had a wonderful time and it was nice getting to know the island better from a local's perspective! " 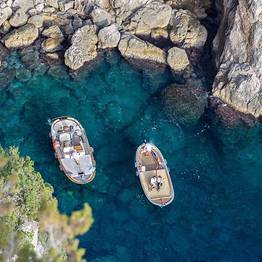 Capri Island Tour: "Thank you so much :) You are welcome back 😊👍"
"Antonello, the owner was our captain. He was fun and made our tour great. The only thing was, we didn’t get to see the Blue Grotto-Line’s were too long. He did make it up and took us to others." Capri Island Tour: "Thank you so much guys, hope to meet you next time !! Have fun :)"
"Highlight of our trip! Antonello was a great captain and was always offering to take pictures. He showed us how to swim into the blue grotto because the water was too high that day to canoe." "Highlight of our trip to the Amalfi Coast area! We had 6 people on our boat; Antonello was a great contact, and Nello was a great captain. We did a 2 hour tour but wish we had booked for longer!" "We had an excellent time with our captain Nello. Four hour tour on a beautiful day. If you can swing the price for this kind of excursion, I highly recommend it. It was a highlight of our trip!" Most amazing experience of my life with the best guides!